Drinks | Mommy. Foodie. Athlete. 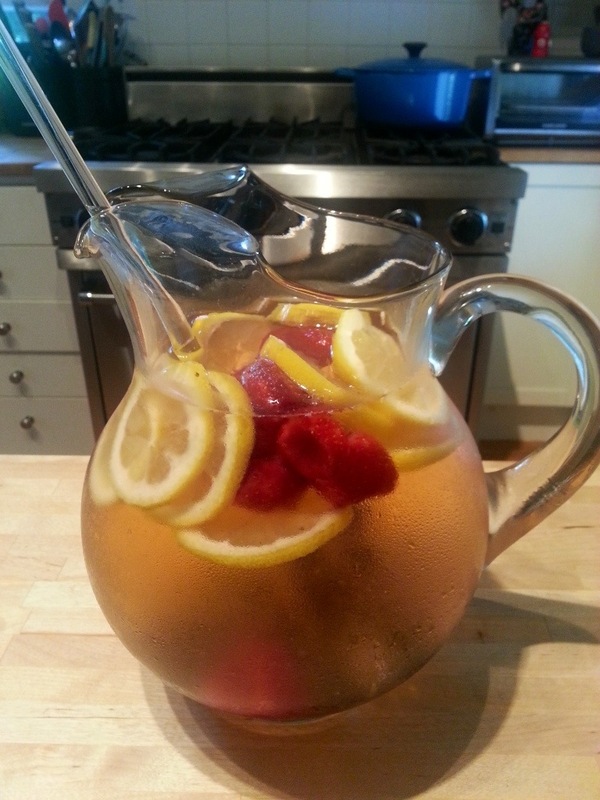 I posted my Lemon Berry Spa Water this morning, and sure enough, the entire pitcher is gone before dinner! That can only mean one thing… Try another flavor and make another batch! 1. 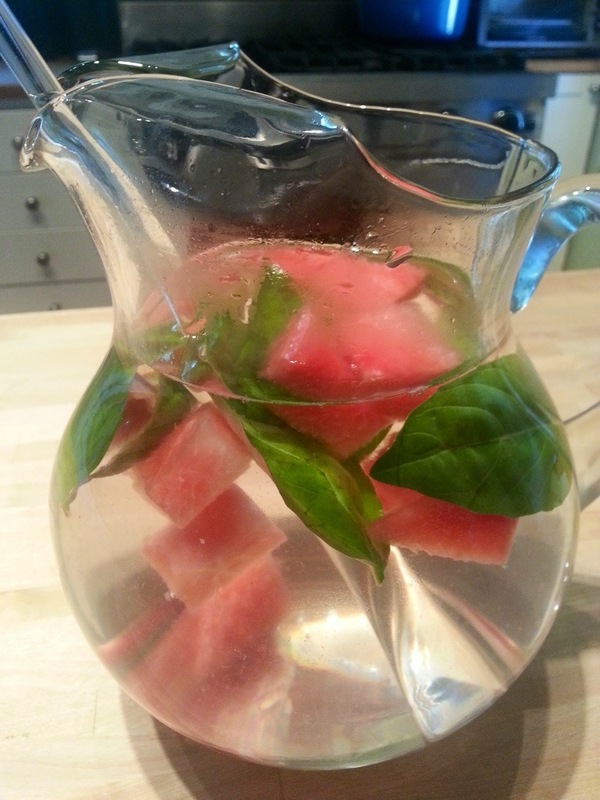 Crumple the basil leaves in your hands to release their flavor and add to a big pitcher. 2. Add watermelon and then fill with water. 3. Refrigerate until ice cold and enjoy! I can’t even claim this is a “recipe”, but hopefully it is a great suggestion for a combination that you may not have thought of! 1. 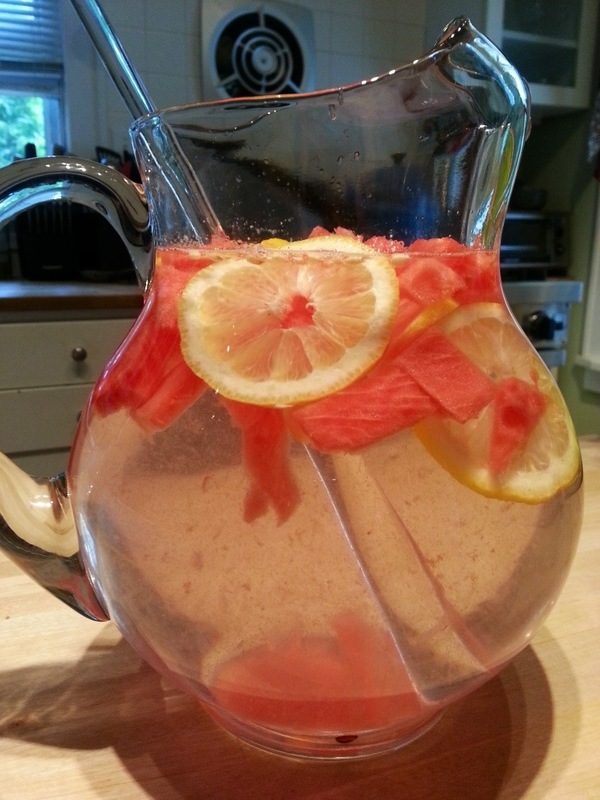 In a large pitcher, add fruit. 2. Fill remainder of pitcher with water. 3. Refrigerate until ice cold, and enjoy!